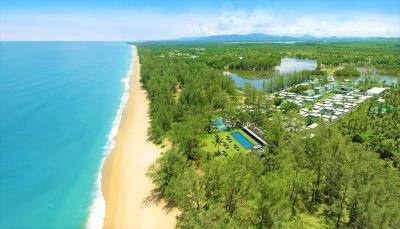 Lock in a great price for SALA Phuket Mai Khao Beach Resort – rated 8.9 by recent guests! 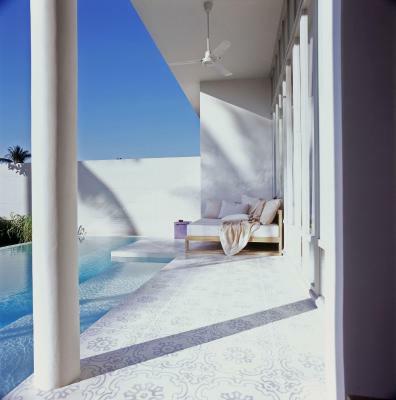 We liked the design of the rooms and the pool by the beach. Peaceful, quiet, great staff and service. Excellent beach and pool area. Great breakfast. The property is absolutely beautiful and the staff is wonderful! You won’t regret booking here! Food was delicious, staff was amazing. Everyone sincerely smiled at you. Fitness center was very nice, as well as the pools. Would recommend to anyone heading to Phuket. High privacy, good internet, great swimming pool size , huge villa (i have got the two floor). Excellent for relaxation with the wife. YOU HAVE TO TRY THEIR MASSAGE EVERY DAY, I can not stress this enough. Everything about SALA was perfect. The rooms/villas, facilities and restaurant is beound explaining. They even have complementary bikes. 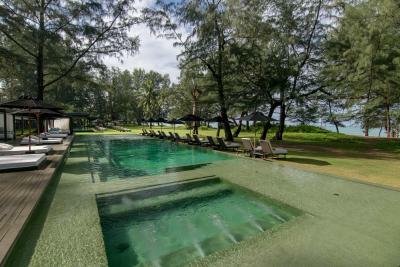 SALA Phuket Mai Khao Beach Resort This rating is a reflection of how the property compares to the industry standard when it comes to price, facilities and services available. It's based on a self-evaluation by the property. Use this rating to help choose your stay! One of our best sellers in Mai Khao Beach! 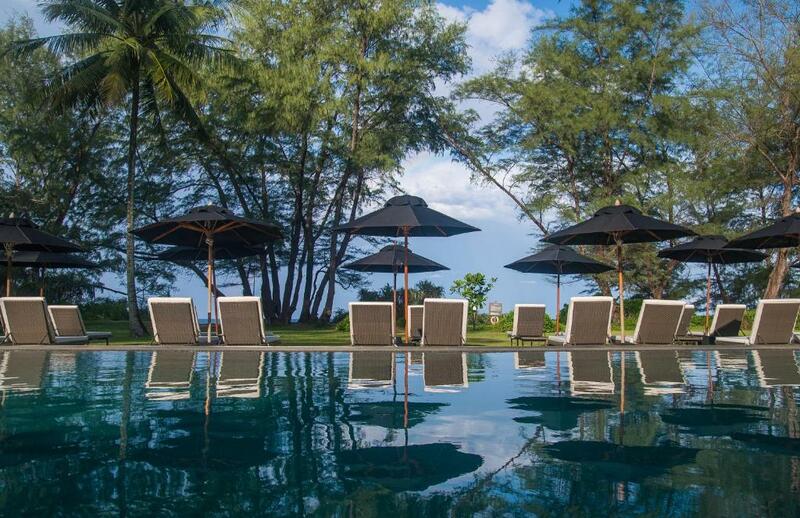 Located along quiet Mai Khao Beach, SALA Phuket Resort features lush garden, 2 beachfront pools and villas with private pools and sundecks. A spa with sauna and steam bath facilities is offered. 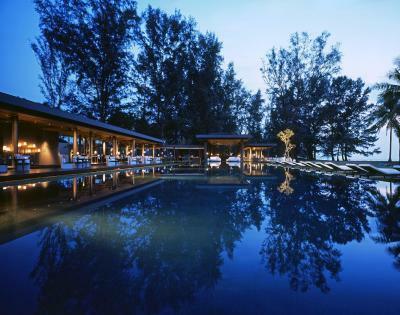 SALA Phuket Resort & Spa is a 20-minute drive from Phuket International Airport. The scenic Phang Nga Bay is a 25-minute ride away. SALA’s rooms and villas offer flat-screen cable TVs and DVD players. 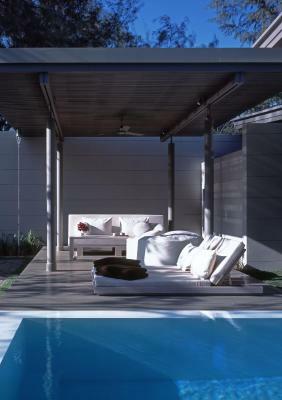 Its villas offer outdoor bathrooms with free-standing tubs overlooking the pool. Free Wi-Fi is provided. 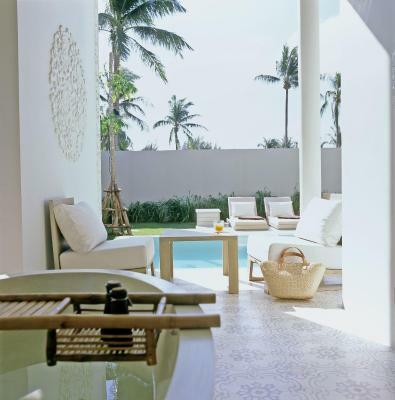 SALA Spa features 3 beachfront massage terraces which provide respite for tired bodies. A gym is available for fitness-conscious guests. 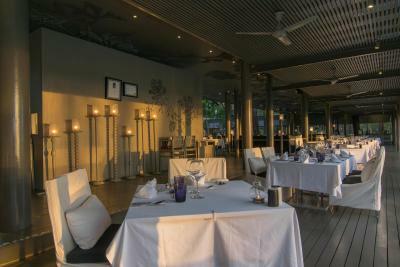 SALA Phuket offers rooftop dining featuring panoramic beach views. Seafood, international and Thai cuisine is served. 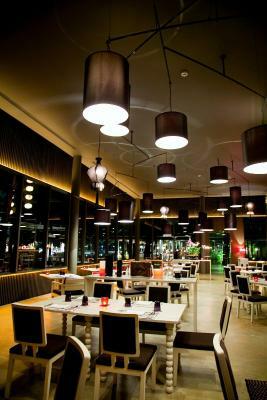 Guests can sip cocktails and wines at the beachbar and lobby bar while soaking in the calming atmosphere. 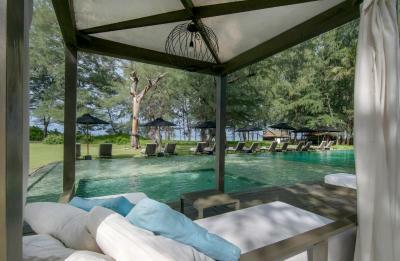 When would you like to stay at SALA Phuket Mai Khao Beach Resort? 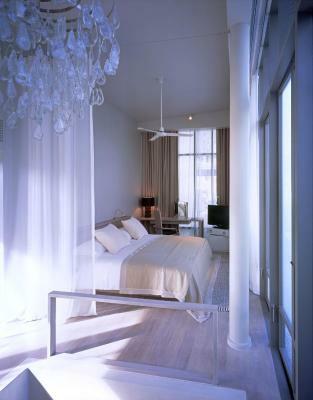 Located on the second floor, this stylish 63-sqm room features air conditioning and a spacious balcony with an outdoor daybed overlooking views of the garden. 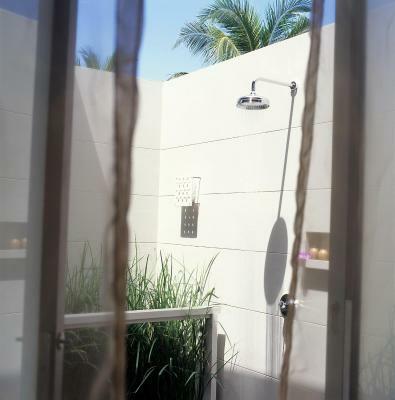 The open-air bathroom fitted with a rain head shower and a bath tub is accessible from either the balcony or the bedroom. Other facilities include a 32-inch flat-screen TV, an entertainment unit and free WiFi. Located on the ground floor, this 158-sqm villa features air conditioning and an outdoor spacious terrace with an outdoor daybed overlooking views of the lush garden. 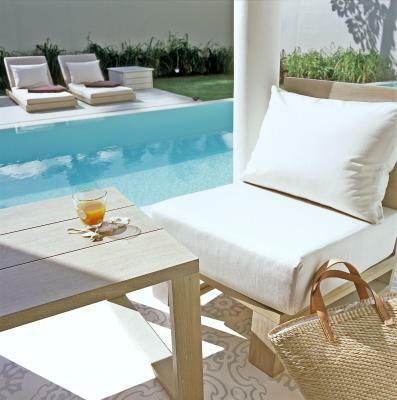 The villa features a 22.5-sqm private swimming pool. 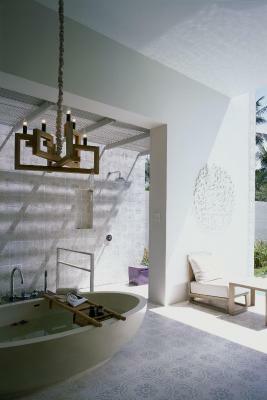 The open-air bathroom is fitted with a rain head shower and a bath tub. Other facilities include a 32-inch flat-screen TV, an entertainment unit and free WiFi. This 157-sqm villa features air conditioning, views of the lush garden and a 22.5-sqm swimming pool. 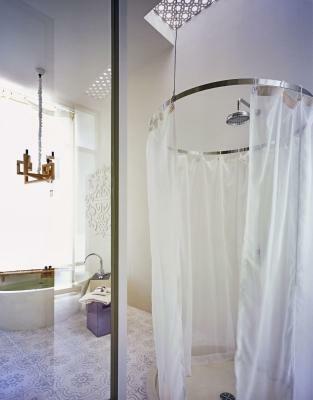 The open-air bathroom is fitted with a rain head shower and a bath tub. Other facilities include a 32-inch flat-screen TV, an entertainment unit and free WiFi. 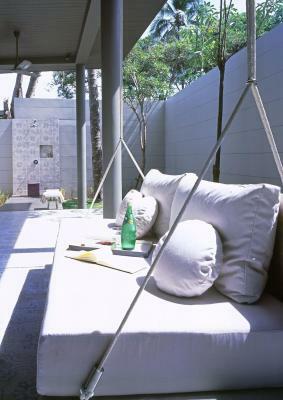 A work desk and daybeds are also provided. This 214-sqm villa features air conditioning, views of the lush garden and a 22.5-sqm swimming pool. 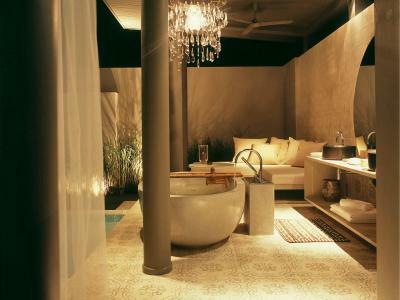 The open-air bathroom is fitted with a rain head shower and a bath tub. Other facilities include a 32-inch flat-screen TV, an entertainment unit and free WiFi. A work desk, daybeds and a seating area are also provided. 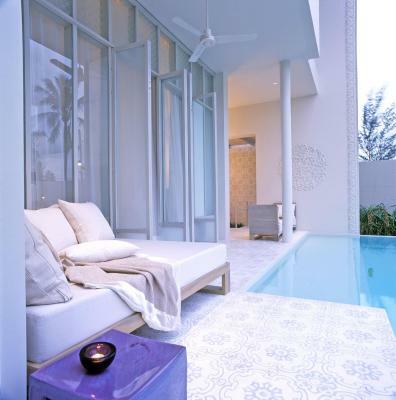 This 333-sqm duplex pool villa features air conditioning and a balcony with a daybed. 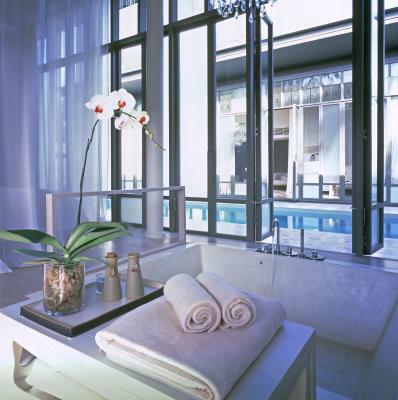 The open-air bathroom is fitted with a rain head shower and a bath tub. Other facilities include a 32-inch flat-screen TV, an entertainment unit and free WiFi. A mini-bar is also provided. 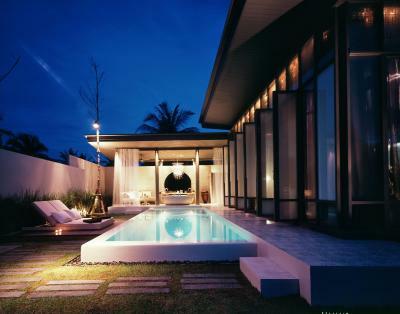 This 447-sqm villa features air conditioning and a private swimming pool, views of the lush garden. The two bedrooms boast spa baths, private lounges and an open-air bathroom complete with a rain head shower and a bathtub. Other facilities include a 32-inch flat-screen TV, an entertainment unit and free WiFi. A mini-bar and an espresso machine are also provided. 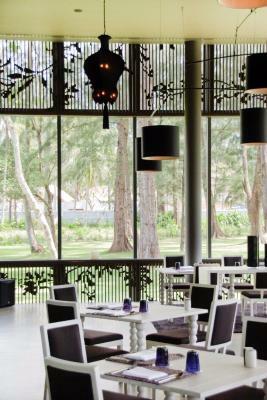 The private pavilion overlooks views of the lush gardens. This 619-sqm villa features air conditioning and a 38-sqm swimming pool, views of the lush garden and a 22.5-sqm swimming pool. 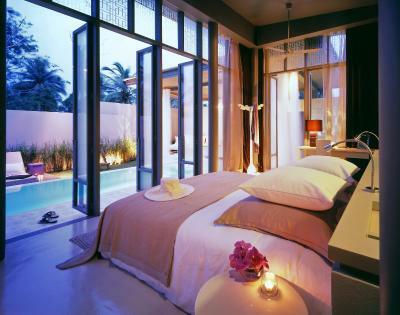 The two bedrooms boast spa baths, private lounges and an open-air bathroom complete with a rain head shower and a bathtub. Other facilities include a 32-inch flat-screen TV, an entertainment unit and free WiFi. A mini-bar and an espresso machine are also provided. 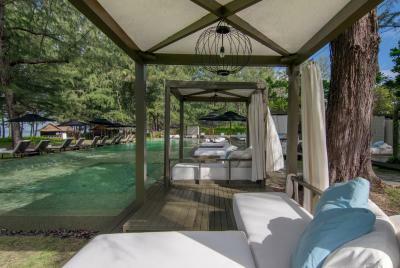 The private pavilion overlooks views of the lush gardens. 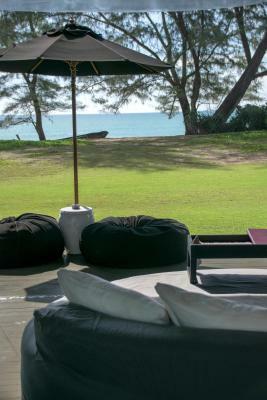 House Rules SALA Phuket Mai Khao Beach Resort takes special requests – add in the next step! SALA Phuket Mai Khao Beach Resort accepts these cards and reserves the right to temporarily hold an amount prior to arrival. The property will be undergoing renovations from Wed, May 01, 2019 until Fri, May 31, 2019. During this period, guests may experience some noise or light disturbances, and some hotel facilities and services may not be available. 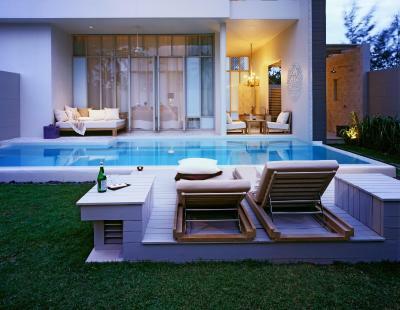 Lovely decoration with outdoor private pool n bathroom! Great hospitality! Resorts right next to the beach and they have their own event everyday for example they have this Thai cultural night on Friday and Yoga class on Thursday. 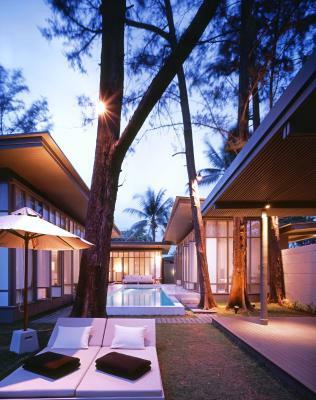 Brilliant design villas, stunning pools and nice beach location. Great breakfast and Chef quality food. Style and design architecture. No varieties in Halal (muslim) food. Helpful staff and pool villa. Would have prefered an indoor sink in villa. Beautiful beach, well maintained and clean property. We loved our villa! good breakfast spread, can also customize. Staff was polite and attentive. 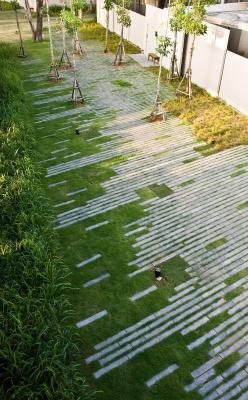 Like the outdoor space in villa a lot. Clean. Well presented. Quiet. Beautifully built with lots of nice touches. The staff are some of the best I have ever come across. A PLUS. Food and drink is quite expensive but that seems to be the case at these standard resorts. Absolutely amazing and we cannot wait to return! We got treated so well! The resort is amazing, so peaceful and relaxing. The beach is very quiet at all time. 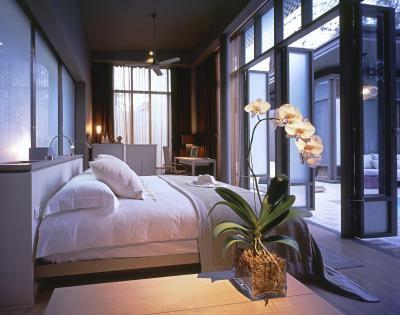 The rooms are so comfortable it actually made us want to spend time in our rooms which we never do. We had a standard room and it was the nicest hotel room we have every stayed in. Stay here if you can for sure!!! We cannot wait to return! most of staff speaks very limited english, some misunderstandings because of this. 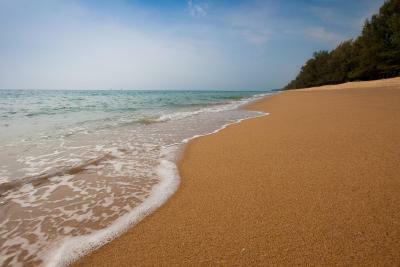 good to know for inexperienced swimmers: waves are often quite rough on the beach. No "real" village or services nearby, only luxury resorts & tourist shopping 1,5km away. Sea was at times a bit too rough for inexperienced swimmers due to location Grey walls and hallways (in public areas) reminded us of the holocaust memorial in berlin. Service was extremely friendly but very limited english-skills at times. food was exceptionally good! The poor reception area and staff. The walk to the villa was like a entering prison building I imagine. The villa although spacious had a dirty pool and was very tired in general. The public pools were also dirty and being made from posh bobbly concrete, not easy to access/egress and sore when you banged into the steps. They managed to misplace all our bags too just before we left to join our ship! We liked the beach with easy access to the sea. 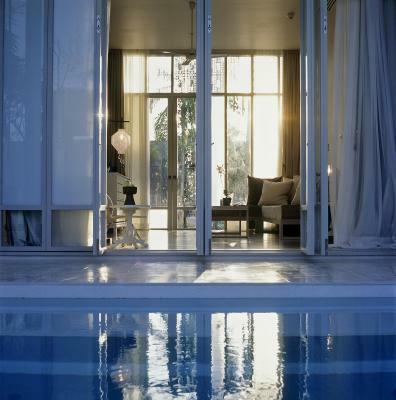 We liked the privacy of the pool villa. Bee, our room maid was lovely. Food below expectation and is not that good as the hotel and expensive (breakfast and dinner). But there is nice local "street restaurant" 5 min walk. We lived on the second floor in the room with a big balcony-terrace. I slept outside through all the stay that was fantastic! The room itself very nice and cozy. Nice personnel, hotel car always available at request. Swimming pool is clean and beautiful. 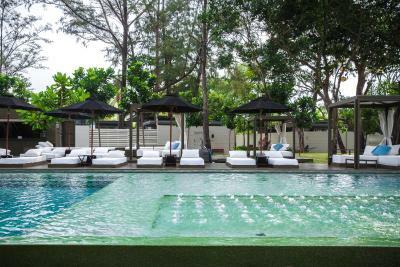 The hotel is not for staying with small kids, perfect for couples and groups (big villas). Location is good, quiet, but walking distance to other hotels, 15 min to shopping area Turtle Village. Very clean, personnel friendly and available to help 24 hours. no good restaurants nearby. It will take more than one hour to go to Padong. It is a great experience for me who likes candles and good smells. It is very nice and quiet place with a private beach. The breakfast is really good with chinese version so that my parents can undetstand and make their own choice. Staffs are really nice.